Abu Dhabi’s Smart Solutions and Services Authority said it has completed the work on Phase One of the integrated government project, Tamm. 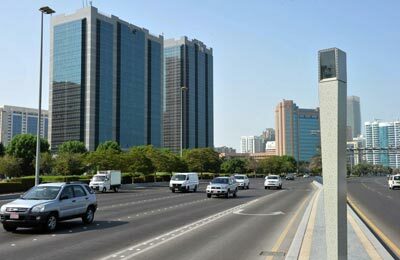 The authority said that it has turned nine documents and services of 15 government bodies into integrated electronic data, thus saving Dh80 million ($21.77 million) on the customers part and Dh11 million on the government entities part. The completed documents are Tawtheeq, for registering details of rentable properties, family book, property ownership certificate, site plan, trade licence, car ownership certificate, water and electricity bill, passport, residency visa and fitness certificate. A comprehensive work platform has been established during this stage of the project, the first of its kind in the region, that enabled Abu Dhabi's government bodies to share data of individuals', businesses' as well as government's documents through e-channels. Dr Rauda Al Saadi, the director general of the authority, said: "This step bolsters our effort to enhance Tamm's services and realising its future vision that was launched by Sheikh Hazza bin Zayed Al Nahyan, Deputy Chairman of Abu Dhabi Executive Council." By completing work on this stage, the project is now capable of providing 500 government services and five million transactions per year, she said. The project stands as the main pillar of new generation of the authority's smart integrated service as it will contribute for enhancing their efficiency, speed and minimising procedures with the ultimate objective of making our customers feel happy and satisfied, she added.